The January 20 protest in Moscow has been sanctioned by the authorities and was organized by a coalition of groups including Left Front, the Party of Action, the Other Russia, Novorossia, and other left-leaning and nationalist organizations. 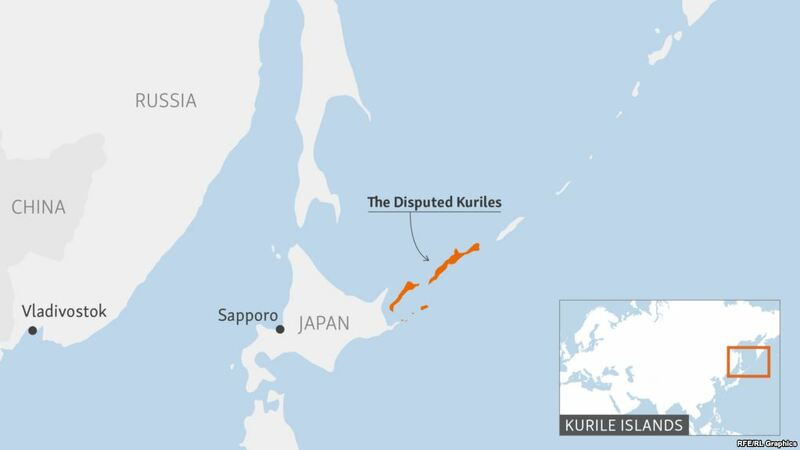 “Any mention of handing over the Kuriles…is nothing but an act of treason,” speaker Igor Skurlatov told the crowd. “Today we give away the Kuriles, tomorrow we give away Crimea,” he added, referring to the Ukrainian region that Russia occupied and annexed in 2014. In November, Putin and Japanese Prime Minister Shinzo Abe agreed to accelerate negotiations based on a 1956 Soviet proposal to return the two less populated islands, Shikotan and a group of islets called Habomai. Russian Foreign Minister Sergei Lavrov said on January 14 that the two countries still have “substantial disagreements” despite some progress in bringing their positions closer. Lavrov also warned not to expect progress toward an agreement unless Japan first recognizes Russian sovereignty over the Pacific island chain.